Being selfless and kind in current-life scenario is not only a feat of achievement but also rare. Men are killing men, people are dying of jealousy, pride and ego. The world is definitely turning towards the evil. But, in such a context, when you read about a simple and poor farmer feeding birds off his own farm brings those tears of happiness to our eyes and brims our heart with a little inspiration. Yes, you read it right! We all know the current condition of Indian Agriculture. With the uneven climatic conditions in India, followed by drought and improper modern agricultural methods applied to farming, it is nearly impossible to achieve a good amount of cultivation and hence, due to ‘failure of crops‘, many farmers tend to do suicide, leading to a ruined family life. There’s an estimated number of 5650 unfortunate farmers committing suicide every year, amidst which 2568 farmers are from Maharashtra. Amidst this scenario, can we imagine someone who leaves his entire crop in the field to feed the birds? Yes birds! Ashok Sonule is a farm laborer in Gadmudshingi village- 15 kms from Kolhapur, Maharashtra. His sons- Prakash and Vilas, and brother Balu, also work as laborers on other’s farms in order to feed a family of twelve. Sonule family owns a small piece of barren land of about 0.25 acres, which has never earned them even one meal due to scarcity of water. The farms near this land hardly yield any crops as well. 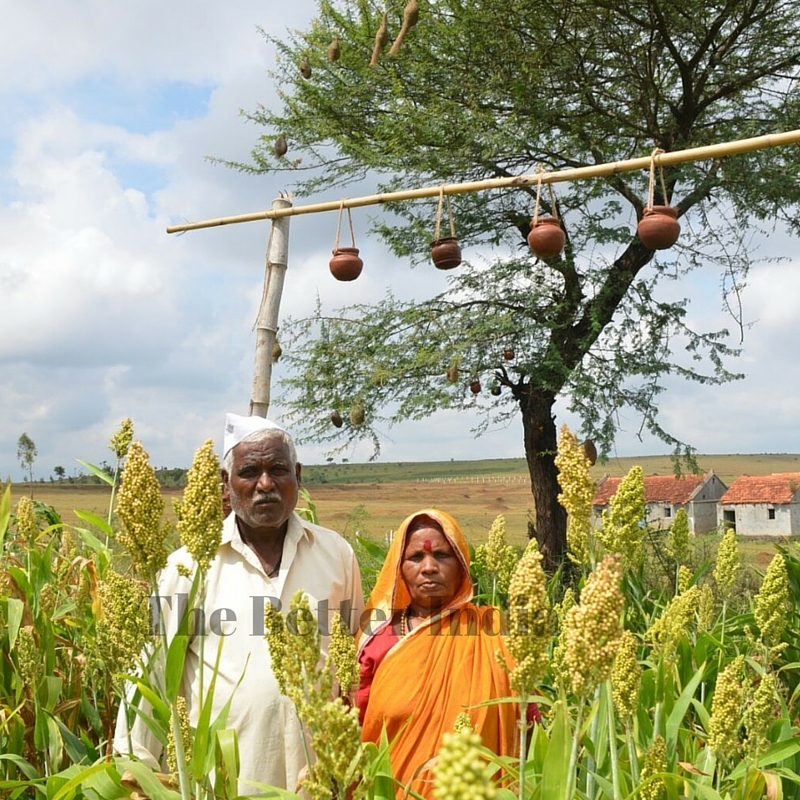 Just like every year, in 2015 too, Sonule sowed seeds of Jowar in his own land during June. Like always, he didn’t expect much to come of it. The severe drought in the months that followed convinced him that he was right– there would be hardly any crop to speak of. The neighboring farms too were going through the same crisis. 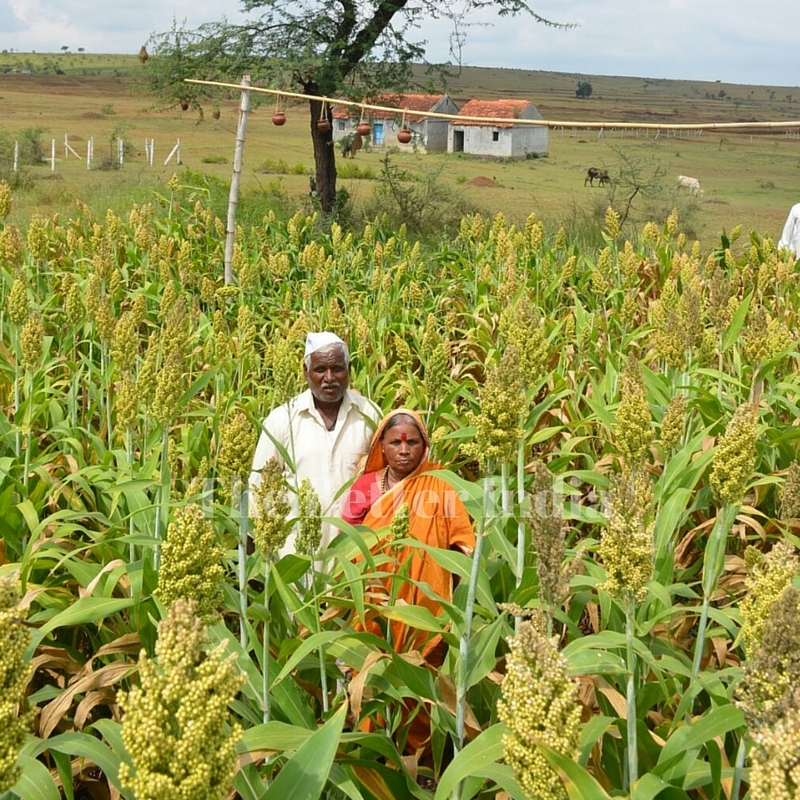 But to his surprise, within a few months the Jowar crop grew, ripened and was ready to reap. But, a Babool tree stood flourishing in the middle of the farm and it got very difficult for them to work under the thorny tree. He then decided to cut it but, just as he was about to do so, he noticed that there were many birds inhabiting the tree– they were totally dependent on his crops for food as the neighboring lands were still barren. This made Sonule think of why only his farm flourished regardless of the drought and the neighbors’ were still without crops? The merry chirping of the birds made him feel that the fully-reaped crops were meant for the birds. This was no less than a miracle. 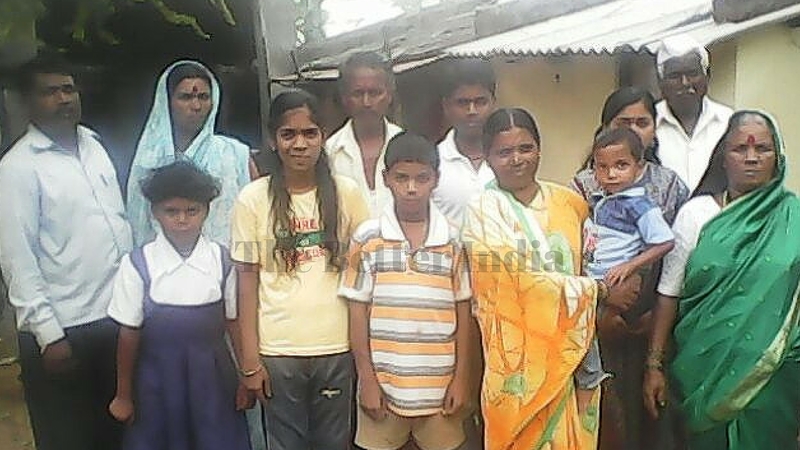 He hence decided to take care of them and dedicate his entire farm yield as their source of food. He also noticed that the birds didn’t have water to thrive upon and hence, he and his family installed a few small pots under the tree. “Ya pakranna suddha daana, paani ani rahayla jagaa hawi naa. Mee tyana asa kasa sodaycha?” (These birds also need food, water and shelter. How could I leave them alone?) says Ashok. To leave the entire crops for feeding the birds while struggling everyday to earn a living and feeding a family of 12 is an act of sheer selflessness, kindness and true heroism. This short and simple story inspired me and taught a life-long lesson that helping others while we are drenched in distress keeps humanity alive. Amazing! wow! salutes to the man and his huge heart! May God bless him with shower of gold! Hey, Congratulations. I have nominated you for 3 days quote challenge. https://doc2poet.wordpress.com/2016/01/12/3-day-3-quote-challenge-day-1/ Will you take part in this challenge? Check out my blog for an inspiring story or two! They are few and far between but they are there. Don’t forget to come visit me over at http://www.thatssojacob.wordpress.com, and if you see anything you like, leave a comment! I like the the way you weaved your comments seamlessly with the narration in this post. Wow I am glad that I read this post. Kind gestures like these are very rare. A very thought provoking post. Thanks for sharing. First, let me thank you for your blessing for my daughter. This is an amazing post and I should say that I am shocked into silence for once. Thank you for supporting your story with pictures because it is unbelievable, but the pictures make sure we believe in Sonule and Humanity once again. Beautiful indeed !! I have always maintained that there is a huge difference when the rich decide to do charity with their excess and when a poor guy gives up something that could have made his life better ….inspiring !! All the best to you! Wonderful post Amreen. So inspiring. Such humble people are what our India really is! Selflessness of the highest order by the Sonule family. Thx sharing. I am in awe. Simply awesome what this one man and his family did instead of letting the birds starve and move… ❤ this post. Inspiring and amazing. I won't forget this ever. Previous Previous post: The Top 5 Cosmetic Brands for Skin Care in India! Next Next post: Deco Home- your answer to a beautiful home!